The MySQL relational database management system is highly configurable. Once you have installed MySQL on your Linux server there are an enormous number of ways that you may tune it to suit your needs. This present tutorial is designed to introduce you to the basics of MySQL tuning by taking you through the deployment and execution of a few tuning scripts. This tutorial should be applicable to any variety of Linux server. 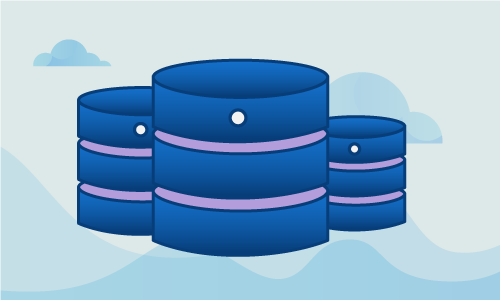 In order to tune your MySQL instance exactly as you want it you need to know what all the MySQL configuration variables are and what they do. However, there are a few scripts out there that will enable you to accomplish a fair bit of tuning without such extensive knowledge. We will show you how to use two of the most widely used tuning scripts to get you started. Once we have shown you the basics, you will be ready to learn more by delving into the manual tuning sections of the official documentation for MySQL official documentation. 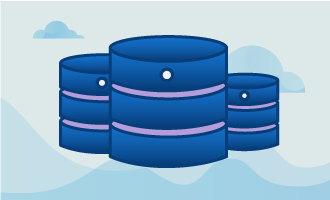 Tuning scripts are typically designed to provide you with recommendations for how to tune your MySQL instance based on how MySQL is used on your server. Therefore, it is imperative that you only run tuning scripts when the MySQL instance has been up and running for at least the previous 24 hours. Furthermore, the traffic from the previous 24 hours needs to have been typical of the traffic on the server. Assuming you have had normal traffic, the recommended sampling time should provide the scripts with enough reliable data on your MySQL instance to make recommendations that will make your configuration serve your needs better. As you may have guessed, tuning is not generally effective in development environments. Tuning is designed to take advantage of the use metrics in your production environment to drive changes in the configuration of that instance. The development environment simply will not see such traffic. Download both tuning scripts. These can be placed in whichever folder you wish. We’ll use /root for convenience. Once the scripts are in place, we are ready to execute them. The first script (mysqltuner.pl) is designed to provide recommendations. This script is especially useful for beginners. The second script (tuning-primer.sh) simply provides data. 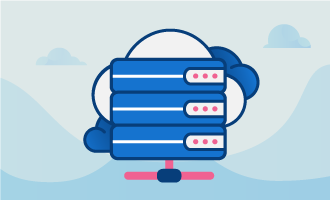 The latter is recommended for advanced users, as the data it provides will point such users to the configuration parameters they need to change in order to optimize their setup. In our example, the output of the script indicates we should increase the value of a few parameters in our primary MySQL configuration file, my.cnf. In our example, we had already applied some changes. We’ll modify the corresponding entries according to the proposed tweaks. The script is not perfect. Some of its recommendations are counterproductive. For instance, the script will often incorrectly indicate that the join_buffer_size needs to be raised in response to the execution of non-indexed join inquiries. Regardless of the scripts output, we have found that keeping the join_buffer_size under 4M consistently helps maximize performance. We’ll set it at 3M here. Another parameter the script often recommends increasing is the innodb_buffer_pool_size. When increasing this, make sure you do not set it such that you exceed the RAM memory available on your server. If you do so, your server will probably crash when the buffer pool size approaches its maximum. In our scenario, our system has about 2 to 3GB of usable RAM. To be safe, we will set the innodb buffer pool to be about half of that, or 1024 M. If the script recommends you increase this buffer pool size beyond what your server can handle, we would recommend you add more RAM so that your server can meet your needs. Next, we will run tuning-primer.sh using the command below. Do this before you restart the mysql daemon. This script will provide us data that will help us to know if the tweaks we intend to apply are likely to help. In this scenario, the second script really just serves to confirm what the first script said. Server has been running for over 48hrs. The slow query log is NOT enabled. Current long_query_time = 10.000000 sec. The binary update log is NOT enabled. The number of used connections is 12% of the configured maximum. Your max_connections variable seems to be fine. Your key_buffer_size seems to be too high. Then look for non indexed joins in the slow query log. join_buffer_size to accommodate larger joins in one pass. ANY joins not using indexes are found. that of table_cache if you have heavy MyISAM usage. You have 5857 open tables. Note! BLOB and TEXT columns are not allow in memory tables. ratio of on disk temp tables. This output indicates that the tweaks made in response to mysqltuner.pl are likely to be beneficial. The tuning-primer.sh script shows that the table cache was getting full. An increase will help. The same is true of our indoor buffer pool. Recall that we had raised the join_buffer_size in response to the large amount of join queries without indexes; however the present script indicates, as we predicted, that such an increase will not address the performance issue. Rather, we will need to add indexes to the join queries in question. With the results of the two scripts, we can be confident that the recommended tweaks will improve the performance of our MySQL instance. To apply the tweaks made the MySQL configuration file (/etc/my.cnf), restart the mysql daemon. Your MySQL instance has been tuned. Going forward, further tuning may be necessary if there are changes in server traffic related to your databases. If you conclude that the performance of your MySQL instance is still not what you want it to be, let your server run for 24 to 48 hours and run the scripts again. We suggest you repeat this process until you have no further recommendations to apply on your server. Your MySQL instance should now perform better than ever. With the knowledge you have gained here, you are ready to explore further tuning using the official MySQL documentation. © 2019 - GloboTech Communications / Company of Nworks management corp.